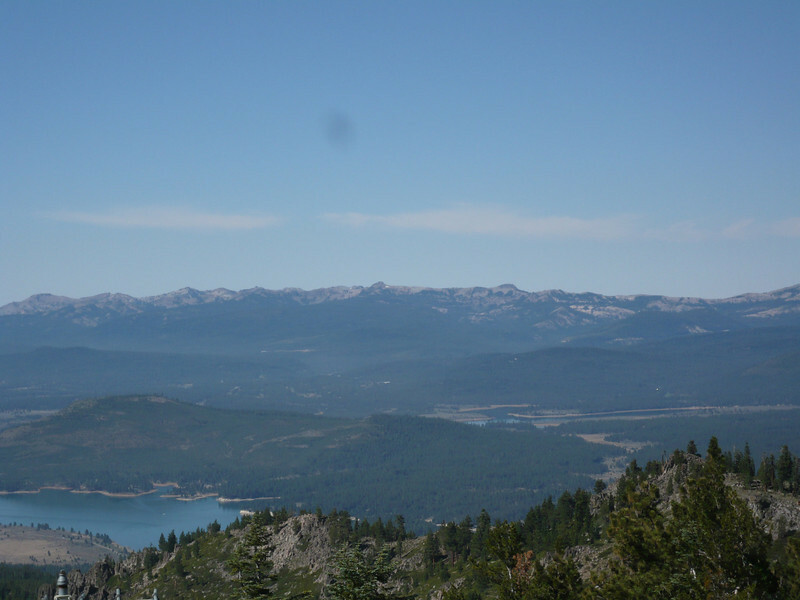 To the southwest, Boca Reservoir is visible on the left and Prosser Reservoir on the right. The Pacific Crest Trail runs along the Sierra crest (essentially the skyline). SOTA peaks in that area include Mt. Lincoln (W6/NS-149), Tinker Knob (W6/NS-121), Granite Chief (W6/NS-115) and Scott Peak (W6/NS-153). Scott Peak is within the Alpine Meadows ski resort and since I also have a season ski pass for Alpine Meadows... I'll probably activate it this winter. Mt. Lincoln is within the Sugar Bowl ski resort. I don't have a pass there, but maybe I'll buy a lift ticket.